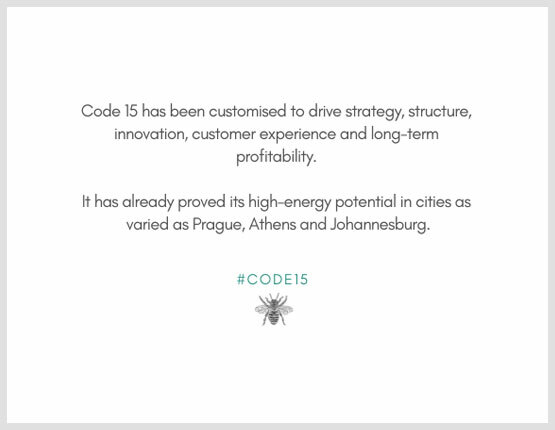 Code 15 is a revolutionary and practical methodology for generating high energy and high performance in organisations. 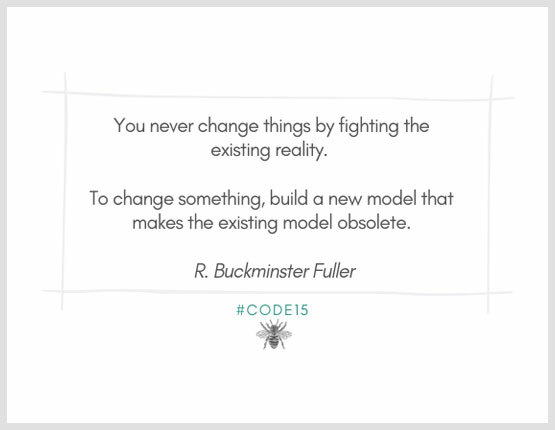 Code 15 provides the framework for a radically new way of thinking and taking action that generates flexibility, innovation and system sustainability. Global research shows that every organisation is on a ten-year half-life curve (sublinear). The only solution is for an organisation to sculpt a new type of cultural DNA that creates new pathways and new possibilities on an ever changing and competitive landscape (superlinearity). Code 15 has been designed to achieve this. What does Code 15 do for your organisation? 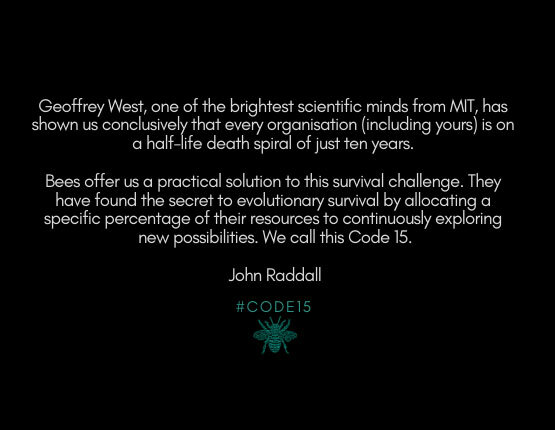 Code 15 is the antidote to entropy.It puts energy back into the organisational system, offering a practical formula for survival and growth of individuals, teams and organisations over time. Code 15 uncovers and re-aligns meta-rules for superlinear performance in chaotic times. 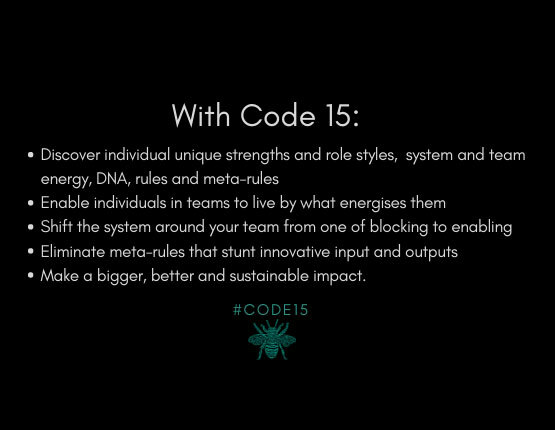 Code 15 also locates a wider purpose to align and direct intelligent thinking and intelligent action, thus creating a new high energy DNA for your organisation. What do we do through our Code 15 structures, meetings and processes? Assess organisational energy using our Organisational Energy Assessment. Form balanced superlinear teams using the GC Index as a profiling tool. Activate superlinear team outputs in workshops using The Code 15 toolkit, an innovative set of 21stC facilitation methods. Build game changing leadership teams and their superlinear mindsets. Provide system-wide resources for developing growth mindsets, essential for fast-moving contexts.